When it comes to South India, one cannot miss out the scrumptious cuisines served in each region. 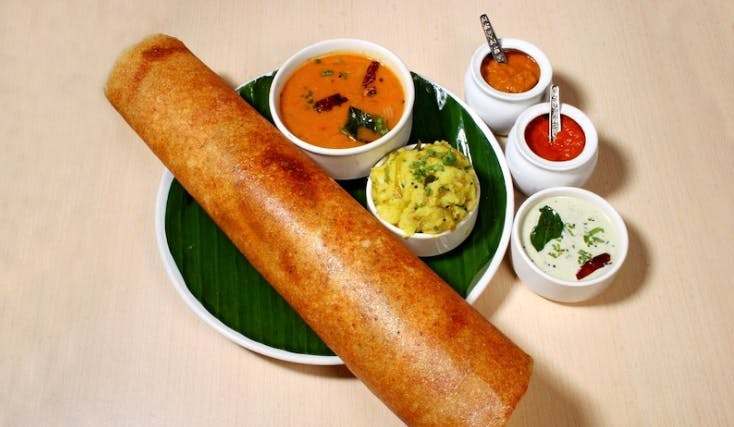 South Indian food has earned fame all-round the globe. Some of the most famous South Indian dishes that people come across are idli, vada, sambar, dosa, appam, and many more. Already drooling, right? Don’t worry, Dakshinayan in Malabar Hill has got you covered. The restaurant is always overcrowded with people waiting to try delicious South Indian fare. If you like spicy food, then you are in the right place. They serve home-style bisi bele bath, mulagapudi idli, and a variety of Pongal. Buckle Up For Their 4 Feet Long Dosas!